For PBIS our students earn BEEs. At the end of the month the students count up their BEEs and cash them out to buy things from our school store. 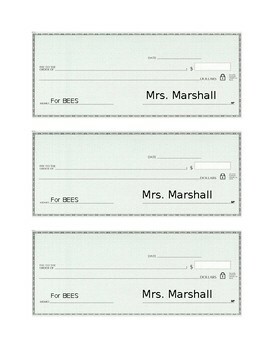 I let them save up what they do not use and I write them a BEE check to keep track of it. I use to do DOJO Checks too and would write them a check before I cleared their class dojo points.